Gutter guards are an investment in your home. Like any other investment, they may take some time to show their full value. However, during a severe storm when the rain flows smoothly into your gutters, you’ll be glad that you installed gutter guards. Avoid injuries from standing on a ladder and avoid damage to your home caused by overflowing gutters: gutter guards are the ultimate in preventative medicine for your home. How Much Does it Cost to Add DIY Gutter Guards? If you want to cover your gutters, there are many options on the market. The least expensive option is a mesh screen. These screens are designed to capture sticks, leaves, and other large debris before it lands in your gutters. However, you do need to clean them over time, since you need to remove the accumulated debris. This means you’ll either need to do this yourself or hire a gutter cleaner for an additional cost. 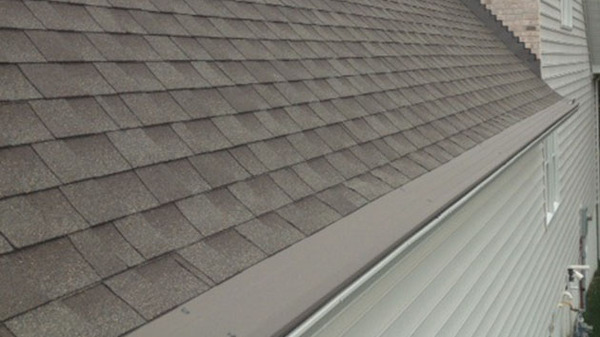 These DIY options cost between $0.50 and $10 per linear foot, depending on the quality of the gutter cover you purchase. Get a professional installer to add gutter guards to your home to ensure that they will work effectively. How Much Does It Cost to Have Gutter Guards Installed? When you’re looking at the cost of gutter guards, every home is different. A single-storey home with newer gutters will cost less than a home that needs full gutter replacement and has multiple stories and corners. The quality of the gutter guard you choose also changes the price of the product. A foam insert or wire mesh screen costs less than a surface tension gutter cover, but it is also less effective. Some systems like surface tension gutter systems should be installed by professionals so that you know that they will work effectively to protect your home. For a professionally-installed system, you are usually looking at $15-$30 per linear foot. There are many benefits to having gutter guards installed on your home. You know that those who install your guards are experienced and understand how to install your gutter guards so that they work effectively for years to come. When you install gutter guards, ensure that workmanship will be covered so that if anything goes wrong, you can get your money back. The cost of gutter filters, screens, and guards is much less expensive than the cost of repairs to your home. 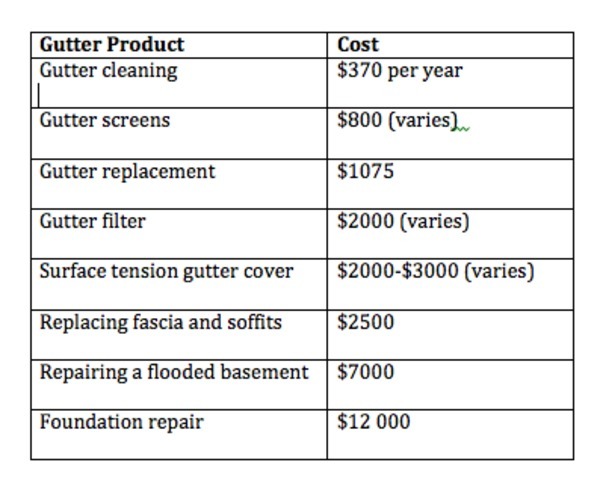 Gutter cleaning costs. At several hundred dollars a year, these cleaning costs add up over time. Gutter replacement. Gutters that are full of leaves become warped and sag. They need to be replaced, usually at the tune of more than a thousand dollars. Damage to your foundation. When water leaks down the side of your building, it can cause the foundation to shift and crack. Foundation repairs often cost more than $10,000. Keeping your gutters protected with Harry Helmet isn’t the only way to go, but it just makes sense financially. Get a professional installer to ensure that your gutters are secure so that you don’t need to worry about future repair and maintenance costs. When you’re looking for high quality gutter guards, look at Harry Helmet. We’ll keep your home safe from leaks, rot, and nesting animals. With our triple lifetime warranty, you know that our Gutter Helmet products are guaranteed to protect your home from costly repairs for years to come. Learn more about Gutter Helmet and schedule an appointment today.